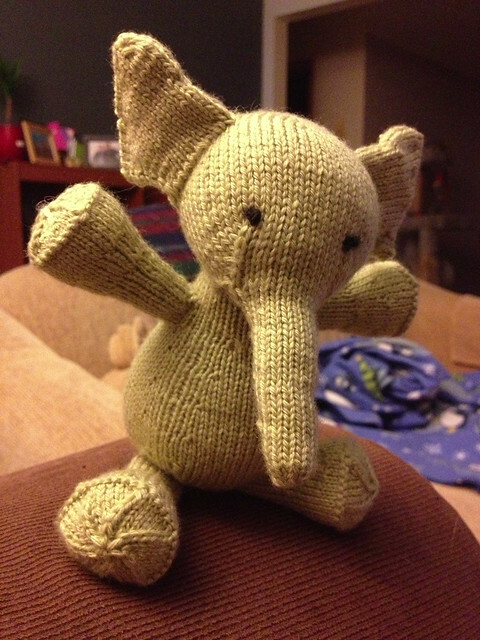 This is my first time knitting a toy! I used a slightly lighter weight yarn than the pattern calls for, so Elijah was a little smaller than I expected, but he’s still pretty cute. 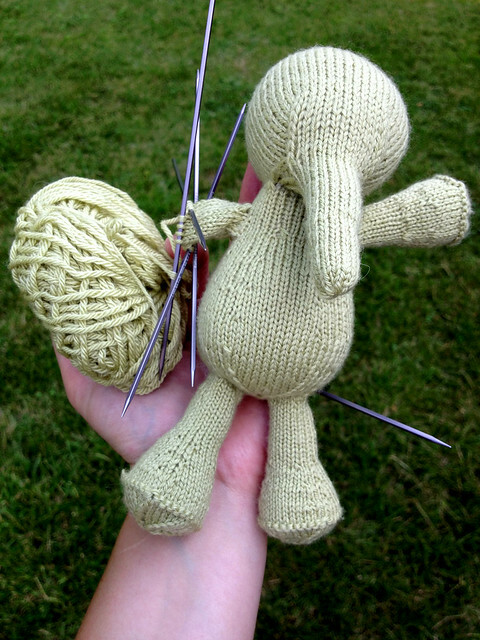 He took a little less than month to knit up — during a baseball game or a movie a few nights each week. 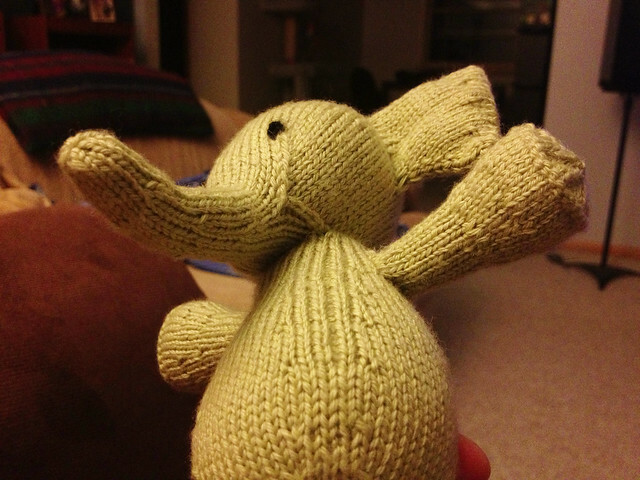 I would happily knit another Elijah!